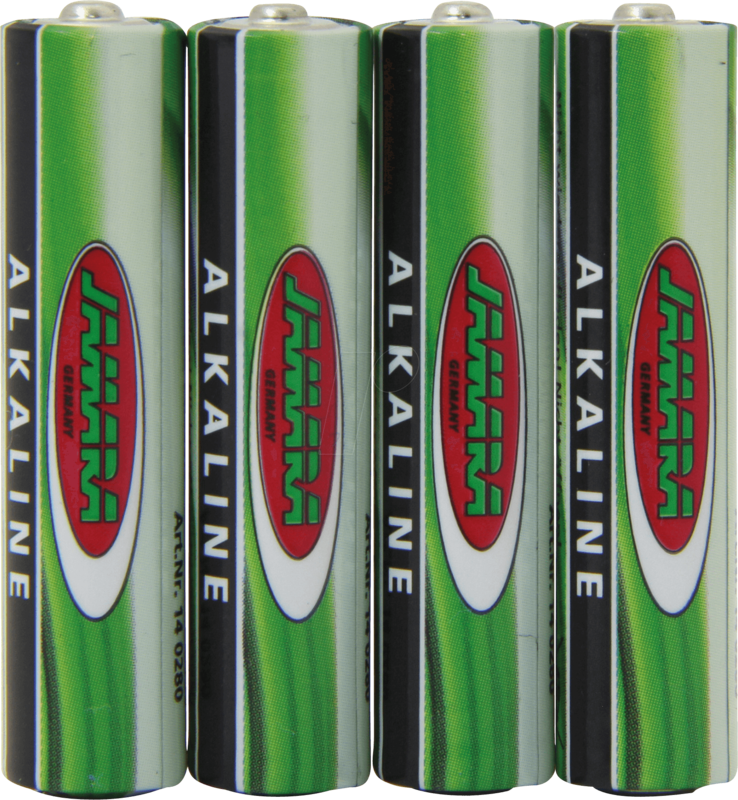 JAMARA 140280SuperCell, alkaline battery, AAA (Micro), 4 pcs. Leak-proof alkaline cells with highest energy density. The AAA SuperCell Alkaline 1,5 V batteries are suitable for any battery-powered application with AAA battery holder. The long-lasting and powerful batteries are universally applicable and convince by long running times with good performance.